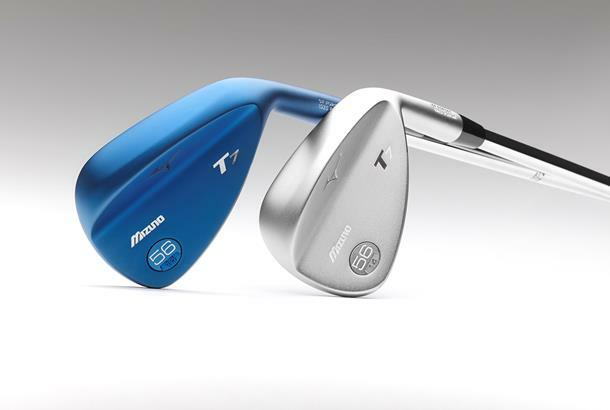 Mizuno are big fans of the performance benefits boron brings to their forged irons, so it’s no surprise they’ve decided to use the material in their new T7 wedges too. Boron brings additional strength to Mizuno’s array of forged irons which allows the face thickness to be thinned down by Mizuno’s engineers. But when it comes to wedges they say the material’s used to maintain the sharpness and stopping power of the grooves for longer. The new T Series have teardrop shaped heads with a slightly straighter leading edge and smaller profile compared to Mizuno’s S-Series wedges. The grooves are loft specific, so wider and shallower in the higher lofts (54° – 62°) and deeper and narrower on the lower which means increased grab and grip where you need it most, on shorter shots. As with all Mizuno wedges you get a barrel full of loft and bounce options (an incredible 84 in total) so you're guaranteed to find the exact lofts to suit your game and because Mizuno love choice you also get the option of either a Blue IP or White Satin finish too. If you need proof of how good they are, well Luke Donald who usually plays Mizuno’s slightly larger and rounder S5 wedge profile put them into play the first week they went out on tour and hasn’t looked back since.